Pest Learning Games For Kids! Pest Learning Games For Kids! Pest Learning Games For Kids! Kids love to discover new things everyday. They have endless hunger to learn about everything around them including pests! As parents, we would probably hesitate to allow them to touch a spider, a cricket, or a lady bug, but to a child, every crawling, flying and leaping insects are not foes but friends! Good thing, we have lots of tools to help our kids learn about pests and pinpoint which are friends and which aren’t. 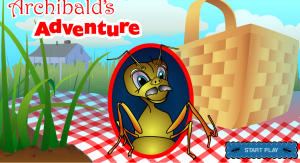 We have several pest learning games for kids available for free or for a fee per play. Do you want your kids to enjoy learning about pests without the risk of getting bitten or poisoned? Pest learning resources for kids are readily available in PestWorldForKids.org. Teach your kids the safest way and allow him to discover the world of pests around him. Richmond Indiana Pest Exterminator supports Pest World for Kids for their passion to teach kids the world of pests.